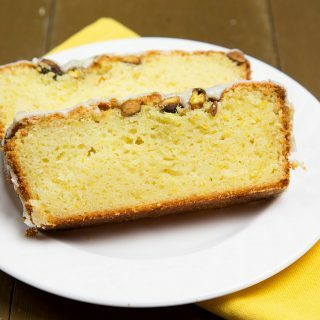 Home » Recipes » Breakfast » Breads » My Seven Favorite Meyer Lemon Recipes! One of my favorite times of year is when the Meyer Lemons start coming into season and I’ve begun to see them in my area supermarkets again so that means its time to getting cooking with Meyer Lemons! Meyer Lemons made their first appearance in the United States in 1908 when Frank Meyer introduced this hybrid of a lemon and mandarin orange. Frank was working for the US Agricultural Department and collected samples of this sweet lemon while in China. After almost losing the Meyer Lemon in the 1940’s a new and improved version was introduced, and that my friends is what we’re enjoying today. Meyer Lemons are wonderful in desserts, but don’t stop there. Meyer lemons make delicious sauces, drinks and flavorings for many of your favorite dishes. Have fun and experiment with those little orbs of sunshine, I promise you won’t be disappointed! 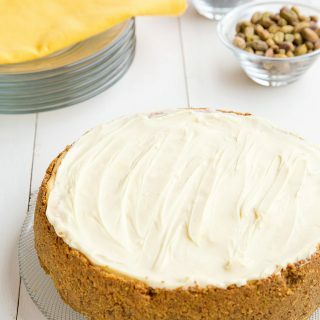 To get you started here are 7 of my favorite Meyer lemon recipes! This pound cake has to be the best pound cake I’ve ever made or tasted. It went beyond my expectations and disappeared in a matter of hours! What can I say about these light and delectable little bites of sunshine…..sigh. 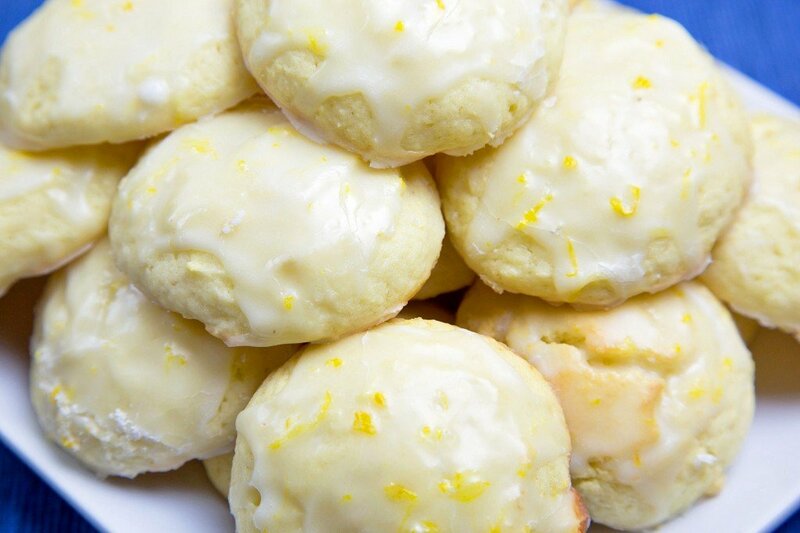 The lemon glaze on these ricotta cookies was the pièce de ré·sis·tance! Super moist and oh so delicious this Meyer lemon cake full of sweet and plump blueberries will have your friends and family begging for more (and the recipe)! I love scones. 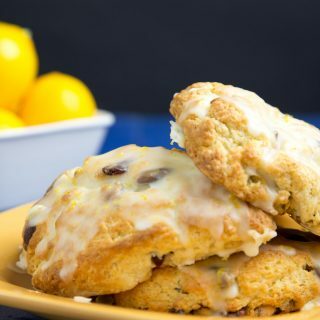 There is just something about a morning with scones and coffee, and Meyer lemon along with sweet little craisins and pistachios make mornings just a little more bearable. Can you ever have too much cheesecake? Especially when its flavored with sweet Meyer Lemons and topped with white chocolate? 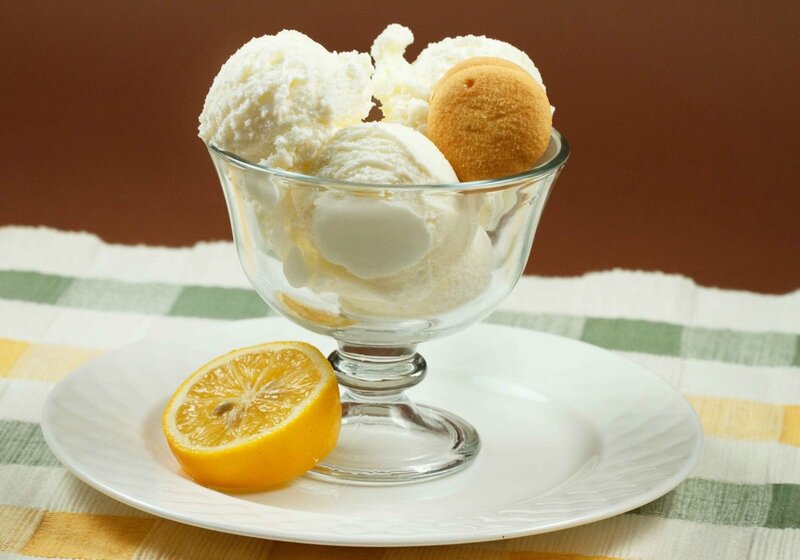 This Meyer lemon gelato (easily converted to ice cream) is a keeper. 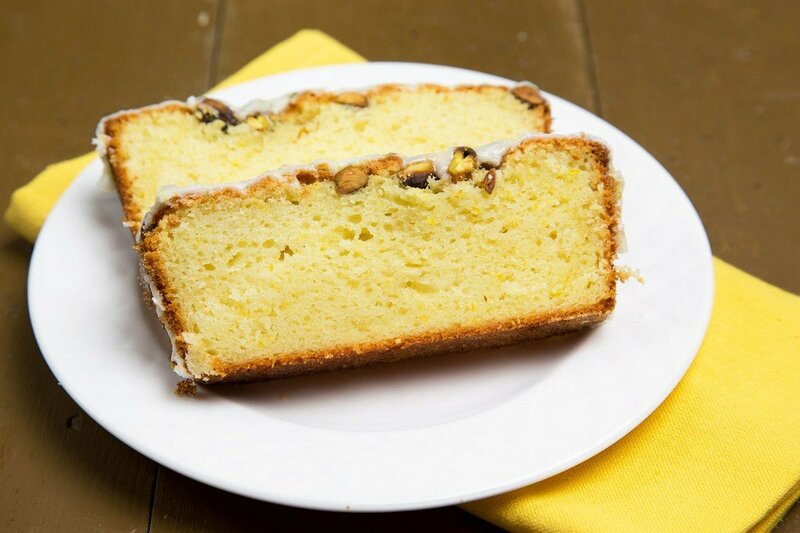 The lemon flavors are so refreshing that you’ll want to eat it every day! Yes you can use Meyer lemons for entrees too! 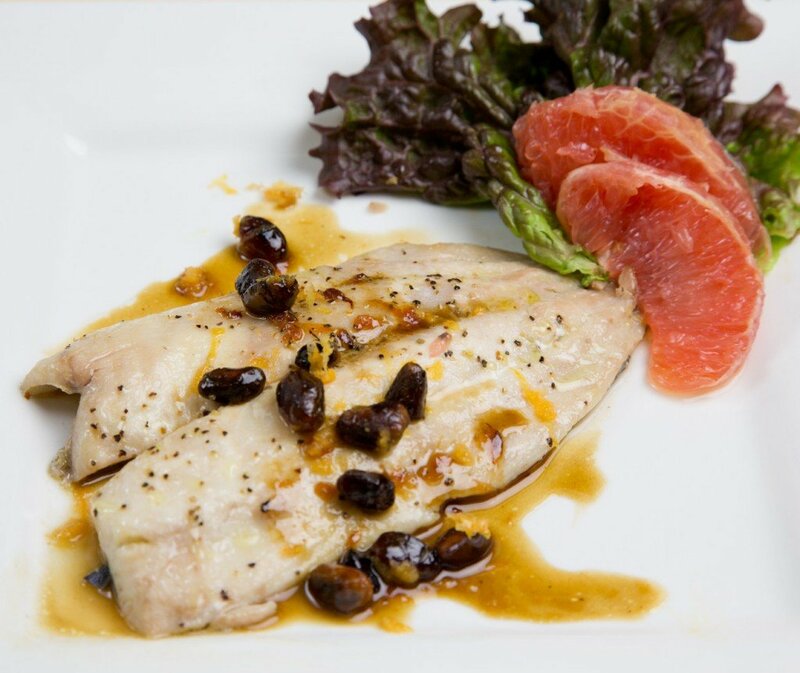 This delicious Fresh From Florida dish uses the flavors of Meyer Lemons and ruby red grapefruit to enhance this perfect Florida pompano. So next time you think of me think of Meyer Lemons and the deliciousness they bring to your table. I hope you get to try my Meyer lemon recipes and Share the sunshine and the smiles Florida style! July and Winter in Queensland and the Myer lemon tree is loaded with fruit. Thanks for the recipe ideas. 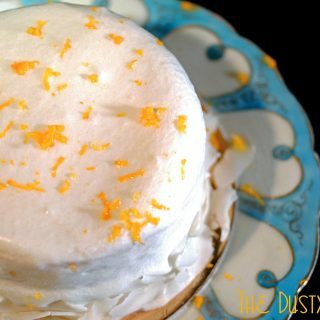 Such wonderful recipes for Meyer lemons! I love Meyer lemons and wish they were abundant year round. 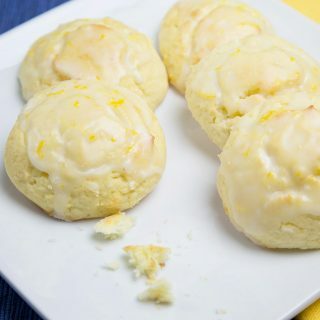 I could really go for one of those Meyer lemon ricotta cookies right about now! thanks Diane, they were delicious, I may need to make another batch soon! What a great round up, Dennis… Pinned and shared! 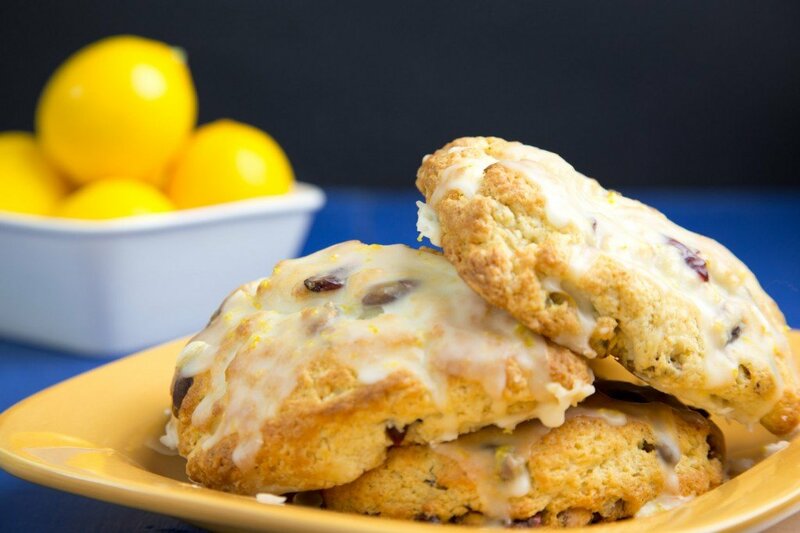 Dennis, I love Meyer lemons (just posted another Meyer lemon recipe myself this morning!). I’d much rather have a lemon dessert than chocolate. And, of course, it’s good in savory dishes as well. That fish looks wonderful! I have yet to work with meyer lemons. I have never seen them in my local stores. I think it is time to call out the hunt. 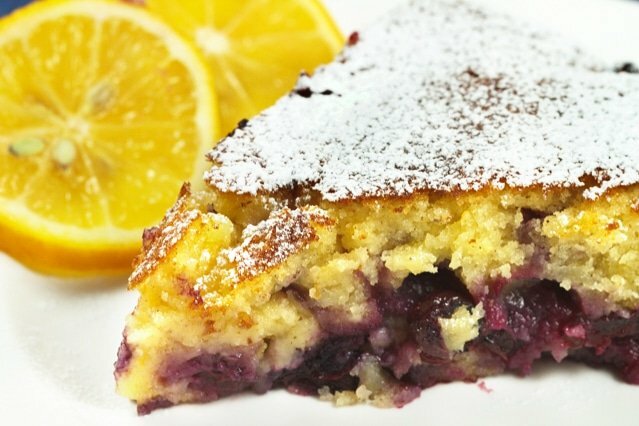 The lemon blueberry cake looks amazing. Thanks Emily it was pretty tasty, lemon and blueberries go so well together! Some of my favorite things. So beautifully presented. Dennis, love, love lemon! The fish recipe looks fab. I’m trying to slim down so staying away from sugary sweets (darn! ), but are looking for various ways to spice up fish, which I eat at least two times a week. I’m def going to try this recipe! Hope all is well! Lemon and just about any citrus goes so well with fish Sandie, I hope you try it and let me know how you enjoyed the dish! Florida Pompano with a Meyer Lemon Ruby Red Grapefruit Sauce. Oh my! I’m torn between the Meyer Lemon Blueberry Cake or the Meyer Lemon Pistachio Cranberry Scones. I might just have to try both. And maybe those ricotta cookies. Ha! There all wonderful choices Sylvia, anything with Meyer Lemon just brightens my day! Can’t wait to try at two of these recipes. We are having a BBQ on April 6, pulled pork and brisket. If you and your Sweatheart can come, please come on up to Orange Park. I’m so glad you posted this. We have a tree loaded with them and that cheesecake looks amazing. 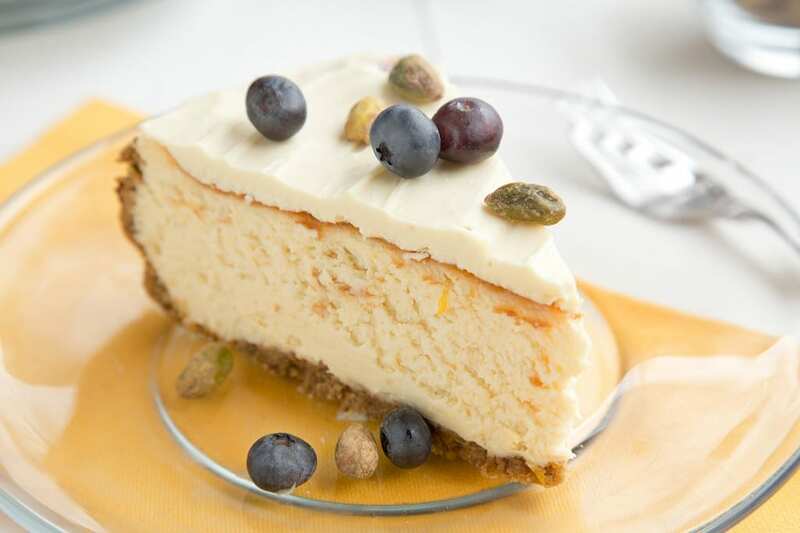 The cheesecake was delicious Karen, my only problem was with the white chocolate when it got too hard in the fridge, you might want to keep it a bit thinner or just go with a plain fruit topping. 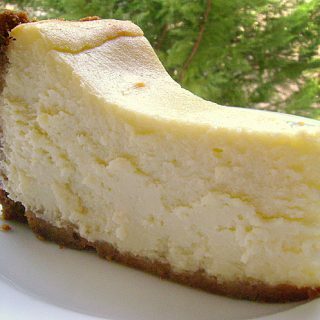 But the lemon flavor in the cheesecake was wonderful! I LOVE all the choices, Chef Dennis. It is hard to pick a favorite, but I think the Meyer Lemon Pistachio Cranberry Scones may be the first one I make! Thanks Betsy, I do love scones and with that glaze they were over the top delicious!